Srinagar, Mar 11,: Army Monday said that it killed 18 militants including 14 commander of Jaish-e-Muhammad in 21 days, the outfit that owned the lethal Lehtpora Pulwama attack. “Since Lethpora attack, we are after JeM militants and in 21 days killed 18 militants including 14 commanders from Jaish-e-Muhammad. 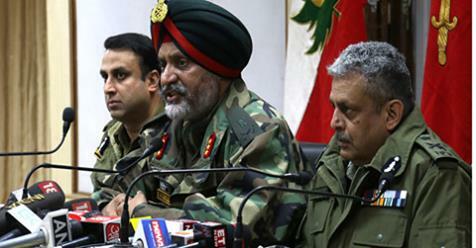 Out of these 18 militants, 10 were locals and 8 from Pakistan,” Commander Dhillon said adding that 2 each slain militants were affiliated with Lashkar-e-Taiba and Hizbul Mujhadeen. 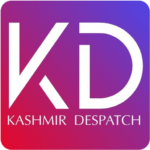 He said that in a signification operation at Pinglish they managed to kill the main conspirator Mudasir Ahmed Khan of Midora Tral village. “Besides Mudasir another JeM militant Khalid from Pakistan was also killed. In three weeks time, we have managed to kill top commander of Jaish. Ever since Lethpora attack, we are after the militants of Jaish,” he said adding that operation against JeM will continue in Kashmir.